Mapped from TNC Terrestrial Habitat Maps: acidic cliff and talus, calcareous cliff and talus, circumneutral cliff and talus, and acidic rocky outcrop. A variety of other, often small and uncommon habitats occur in Massachusetts. 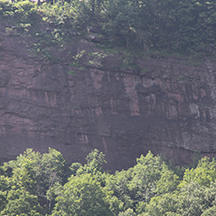 These include rocky cliffs, talus slopes? and unvegetated mountain balds.